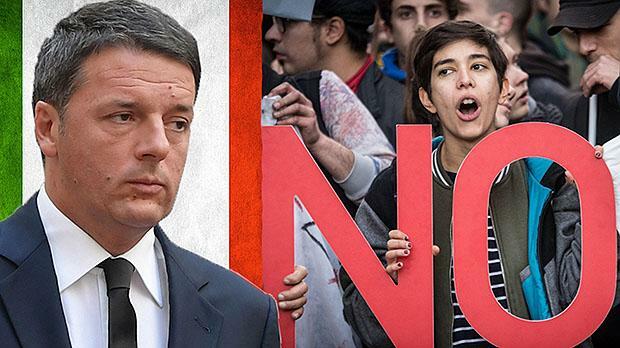 In another major blow to the European Union following last June's historic Brexit vote, Italians voted resoundingly 'no' on a package of pro-E.U. constitutional reforms in Italy. The current Prime Minister, Matteo Renzi, had tied his political future to the referendum passing and so he has immediately announced his resignation. Italy is not only a core member of the European Union, but it is also a heavily indebted and core member of the Eurozone. E.U. elites are now scrambling to save their project as the dominoes continue to fall.